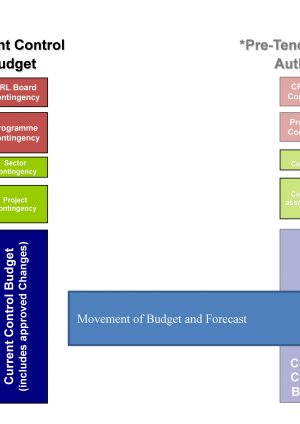 The diagram above provides an overview of how change is managed across the programme in terms of schedule, cost and scope. 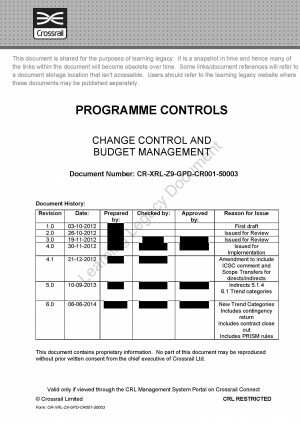 Crossrail’s approach to Programme-level change is detailed in the Change Control And Budget Management Procedure. 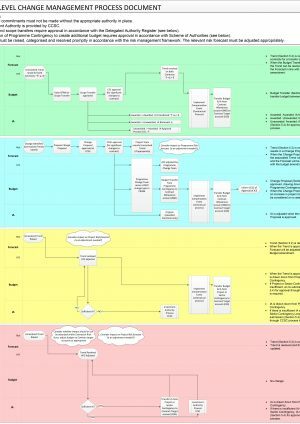 Three learning legacy micro-reports explain how the baseline scope and budget was established, contingency managed, and how the Change Control Process managed site change, top-down programme change, and cost increase or risk crystallisation from either a Crossrail risk or a Contractor risk. 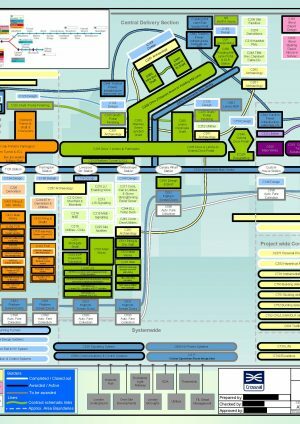 This micro-report describes the process Crossrail used to control change to the Baseline of scope, cost and schedule at Programme level. This micro-report describes how contingency budgets were established, delegated and managed by Crossrail, and the different categories of contingency budget. It explains the link between contingency and risk management, and control systems.